I've had gall stones for several years and had four attacks but I dreaded even thinking about surgery because I have Fibromyalgia and any stress or injury to the body brings on increased pain and fatigue. I finally said, "I want to do that cleanse." The apple juice was a pleasure to drink although by day three I was a little tired of it. I found that freezing it into apple sickles made it go down easier and was a nice change in texture. We found the salt cleansing to be easy by taking a breath between each drink. What an amazing thing to see my stones in the toilet (on day four) without surgery! We took pictures because I want to show my current doctor and I'll have another sonogram to see if they are all gone. Pretty amazing, huh? Even if they are not all passed, I'm sure this was most of it and I'll just do another cleanse. Today a visit to the Emergency Room can cost over $1,500 just to walk through the door. We might not have to go to the ER if we had more knowledge. That's where Be Your Own "Doctor" shines. It steps you through what is going on with a deep bleeding wound or a heart attack. It tells you how to identify an appendicitis attack or diagnose shock. An Informative Guide to Herbal Home Health Care. Illustrations by Carol Weaver, Joyce Hansen and Lisa Strubhar - daughters of the author. This book tells what to look for and observe in the sick or injured one. It helps you analyze what is wrong and how severe it is. Rachel Weaver reminds you to stop and take a deep breath and not to panic. Often she tells what the hospital would do if you transport. 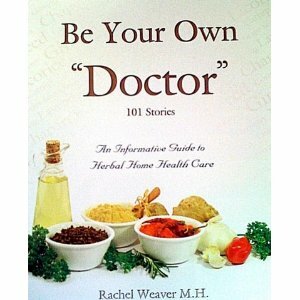 Be Your Own "Doctor" contains 101 stories of what she did for healing at home. For over thirty years Rachel Weaver, an educator, midwife, consultant, and mother of nine children, has tested her knowledge on countless friends, clients, and family. She continues to learn and apply principles beyond the boundaries of this book. As you study the material outlined here, and become familiar with simple remedies and amazing herbs, you will find yourself taking the responsibility for your own health. You will be inspired to learn that God gave us the tools that we need to live and be healthy. How to deal with colds, flu's, and fever. How to stop bleeding; heal wounds, and deal with emergencies. Re-mineralizing teeth and healing abscesses. Recipes to make your own tinctures, poultices, teas, and salves. Resolving colic and making your own baby care supplies. 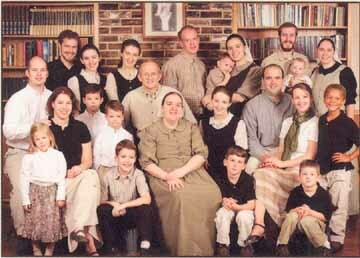 How to deal with most family health problems in your own home. Understanding hormones that are going haywire.